Nashville is home to great music, delicious food, and some of the best people. 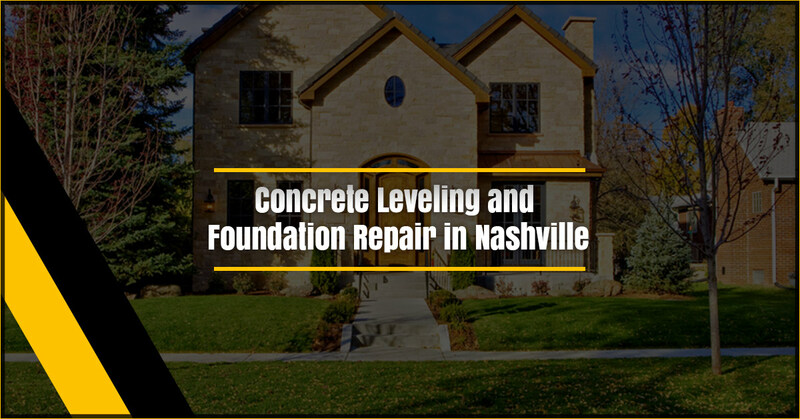 At Nashville’s own A-1 Concrete Leveling and Foundation Repair, we work hard for you. We embrace high quality work and deliver every time. To start, let’s briefly explain what we do. 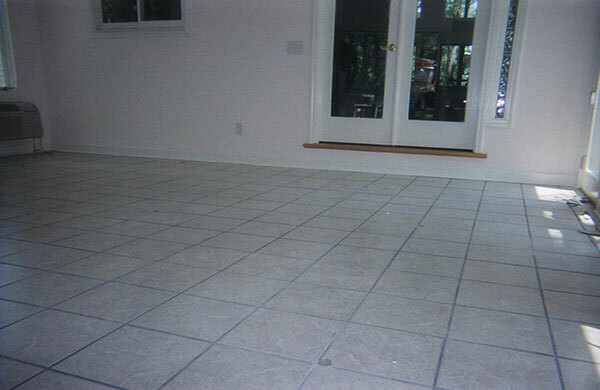 As our name indicates, we’re focused on both concrete leveling and foundation repair. With our fast, professional service and skillset, we save you up to 80 percent of what you would have spent replacing your concrete. 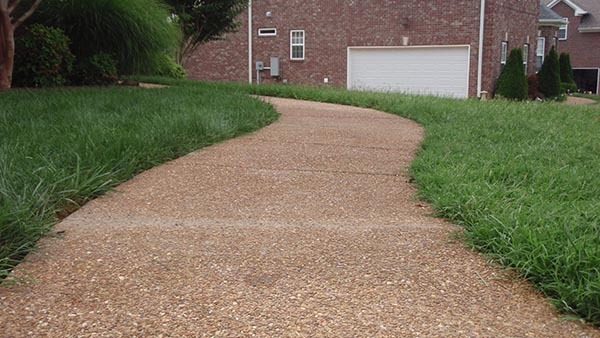 We fix those pesky cracks that are slowly progressing further and further up your sidewalk or garage floor. The slant you keep thinking is there may actually be there. 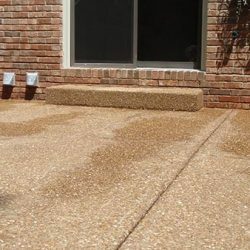 We can help make your concrete flat and level for you again. Those bricks that are cracking, doors that are sticking, or walls that are bowing are signs of a much larger problem with your foundation. Temporary cosmetic fixes won’t actually fix anything in the long run, so we’ll fix the root problem — from the foundation up. Concrete leveling or foundation repair are logical processes and techniques, yet should be handled by professionals with the knowhow — and proper equipment — necessary. 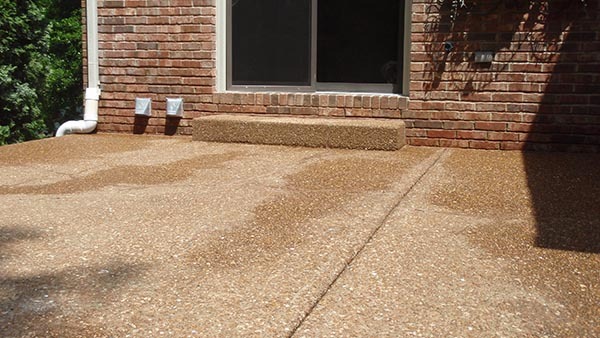 A-1 Concrete Leveling and Foundation Repair in Nashville has knowledgeable professionals and the technical equipment to perform these repairs. In this video, you see our patented concrete leveling and restoration process. We start by drilling a small hole in strategically chosen locations. These holes’ diameters are about 1 inch, and we pump an environmentally friendly limestone aggregate through them to fill the empty space beneath your concrete slab. This will gently raise the slab until we get it at the desired, correct height for your home or business. When there are cracks in your concrete, we use a similar technique to fill in those gaps. When existing foundations have cracks and need repair, we’ve found that the best way to stabilize them is with hydraulically driven steel piers. Like you saw in the video, the pipe is driven into the wall and transfers the support from the ground underneath. Being a home or business owner is expensive. 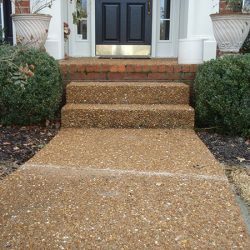 Then it has hidden costs along the way, like a cracked foundation or uneven concrete at your entryway, that make it even more costly and, frankly, annoying. It can be easy to rationalize putting off getting work done, but that’s the last thing you should do as a responsible home or business owner. A-1 Concrete Leveling and Foundation Repair in Nashville can help you through the process and hopefully save you some headaches along the way. We’re adamant, however, that you contact us and make changes as soon as you see signs of concrete or foundation disrepair. Sometimes we can fix the issue in a single day, and sometimes it will take more time; the sooner you contact us, the sooner we can help you and prevent future, more expensive, problems. After all, your house or business is probably the biggest investment you’ll ever make; why not take care of the problem now and invest in your future? It’s certainly tempting to wait it out and see if it’s a bigger problem, but if you do that then it certainly will be. Foundations, for example, make sure the weight of your home is distributed evenly and protects it from shifting and settling. If something is wrong, even in just that one little spot you noticed in the basement, it can greatly affect the rest of the foundation and home. This can, in turn, cause much more damage and, potentially, harm. If you’ve seen something around your home and haven’t been sure if it’s a problem or not, see if it’s on this list; however, this list doesn’t include every potential sign ever. Go ahead and call us if you’re still not sure. It’s wise to go around your crawlspace or house occasionally, especially if it’s older, and see if you notice any of these signs. Cracks or fractures in the foundation, walls, or floors. If you do find cracks or fissures, it doesn’t necessarily mean your foundation is crumbling and compromised. Different lengths or angles of cracks can mean different things, so just reach out to us if you’re unsure. A sinking or rising foundation. Though it’s normal for a foundation to sink or settle in the first two to three years following construction, settling after that can definitely be a problem. What starts out as a ½-inch dip can later sink another 2 to 4 inches if left unattended. If the opposite is happening and you have foundation upheaval, the most common cause is too much moisture. Whether it’s moving upward or downward, we can help you find a solution for the problematic foundation. Improperly fitting doors or windows. If your door is sticking and won’t open or close properly or if there are gaps around window frames or exterior doors, your foundation is most likely shifting or moving for some reason and needs repair. 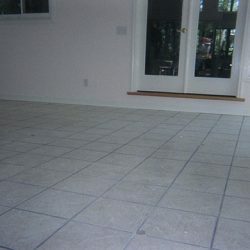 Sagging floors or warped ceilings. These obviously don’t look good, but they’re also dangerous for anyone — especially children or elderly people — who is trying to walk on the surface. Perhaps worse, it’s a fairly clear sign of a foundation that needs work. Counters, cabinets, or shelves separating from the wall. Maybe this is one of those things you initially ignored because it wasn’t a big deal, but now your kitchen cabinet has gradually pulled ½ an inch away from the way and you’re not sure what it means. It’s most likely a sign of foundation damage: after all, if your walls aren’t level, how is anything on the walls expected to be level? Water damage. Water can lead to foundation damage, but it can also be a reliable sign of damage. Look for obvious and not-so-obvious water damage when you’re inspecting your home. Perhaps it’s a big spot in the wall that has been ravaged by water, but it could also be a damp area one in a spot where there shouldn’t be moisture (like in the crawlspace, for example). The services we offer here in Nashville are diverse enough to meet hopefully every customer’s needs. If there’s something you need related to concrete or foundation repair that you don’t see here, give us a call and we’ll see what we can work out together. Driveways that are sunken, uneven, or severely cracked aren’t attractive, can cause damage, and lower the value of your home. Driveway repair is something you should definitely contact us for. Sidewalks that are sunken, uneven, or severely cracked are dangerous. Garage Floors that are cracked or uneven can cause larger structural problems. Porches or Patios are supposed to be your spot to relax with friends and family. Don’t let a crack deter you from enjoying time in your yard. Steps are already enough of a tripping hazard as it is! 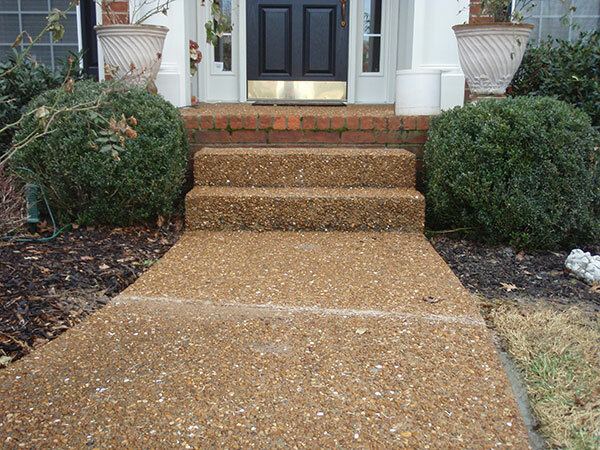 Don’t risk safety by not correcting problems with brick or concrete steps immediately. 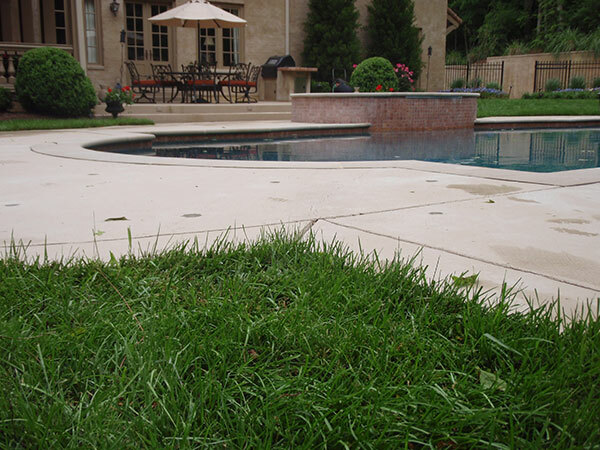 Pool Decks’ slippery surfaces can quickly turn even more dangerous if uneven. 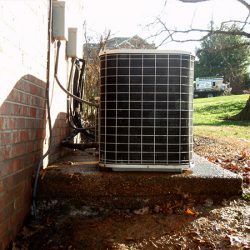 HVAC/Utility Pads that are uneven can strain your electrical or plumbing connections. Downspout Extensions will make it so water from rainstorms isn’t draining right by your foundation and damaging its walls. Floor Supports will solve your unstable floor problem. Bowed Walls are a problem that should be treated effectively, so we both stabilize and strengthen the wall instead of one or the other. At A-1 Concrete Leveling and Foundation Repair in Nashville, we’re not just about providing you a great service at a great price. We’re also committed to helping the environment and use all natural products to repair your concrete or foundation problems. Instead of using chemical-based polyurethane foam like other companies, we choose to use limestone grout for many reasons. When new concrete is poured, limestone is used as the base. Why not use it to fill voids and reestablish the base also? Let’s replace earth with earth. We feel a need to give back and help the earth, so in Nashville we donate 1 percent of our revenue toward environmental initiatives. By being our customer, you partner with us to help and give back to the environment. With more than 20 years in this industry, we’ve solved just about every sinking concrete problem with our tried-and-true environmentally safe material. We’re happy with the effects and intend to keep supporting the environment for the next 20 years as well. We save you money down the road. Problems that go unresolved right now will cost you so much more later on; we can’t stress this enough. With your home or your business, you don’t want to take the risk of later stress, harm and higher costs. Contact us today instead and we’ll get it taken care of! 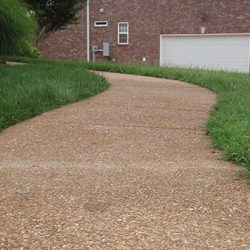 More often than not, we’re not advocating for you to replace your entire driveway, foundation, or sidewalk. We can fix the problem using our patented technology with your existing foundation or concrete still in place. 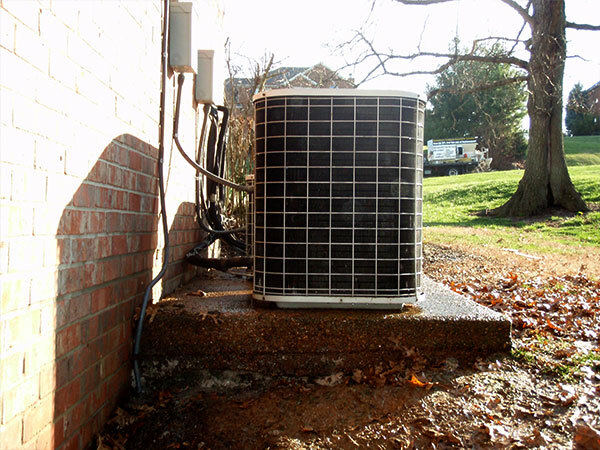 This will save you up to 80 percent of the price of replacement, and is just as effective.